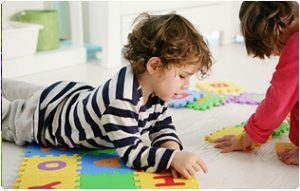 Our playroom provides a happy and caring environment, which encourages children to learn social and development skills, through activities and play. At this stage of development children are introduced to feeding themselves. As well as free play with range of activities and challenges including, music, sand, water, arts and crafts, gardening etc. Comfortable sleeping arrangements are available during the day.